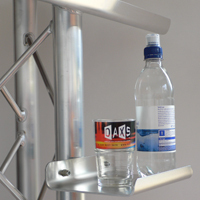 Unique aluminium tray, 20cm (w) x 15cm (d), for your glass / bottle. 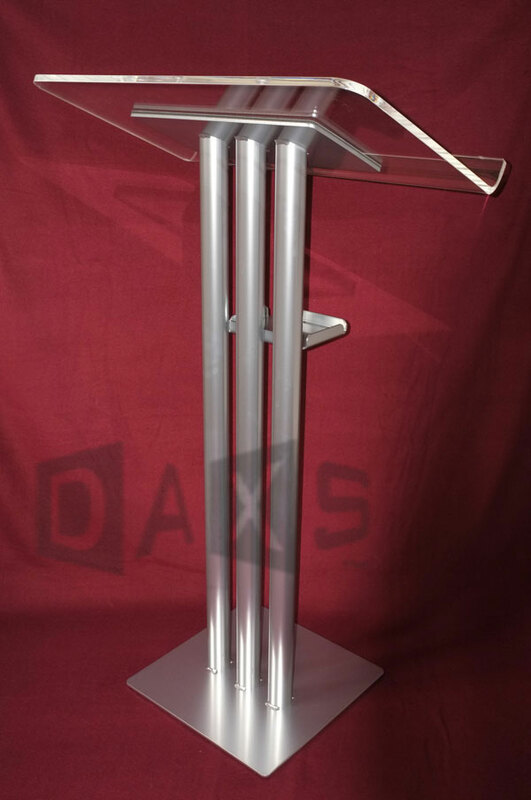 Suitable for DAXS and Trilite Ladder, Truss and Quad lecterns with either 25mm (1") or 50mm(2") dia straight tubes - simply postion where required and tighten in place with its wing-nuts (no tools req'd). 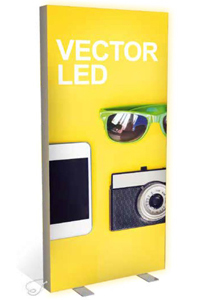 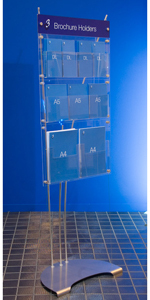 Availlable in natural aluminium (stock finish), or painted black, silver or white to match your lectern.